Human facial bites are uncommon and usually cause a wound that presents major challenges for the reconstructive surgeon. The purpose of this study is to present the advantages and disadvantages of using a superiorly based interpolated nasolabial flap for reconstruction of a nasal tip defect. We present a case of serious injury of the nasal tip as a result of a human bite. 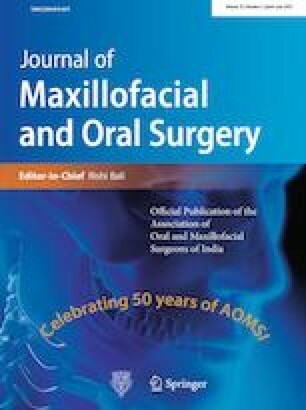 Early maxillofacial surgical intervention resulted in restoration of the facial anatomy and function of the structures involved. We present a serious mutilating injury of the tip of the nose in a young patient as a result of a human bite. These injuries can be rather destructive and cause a facial defect which may have a significant adverse psychological impact on the patient. Because of the proximity and the skin colour match of the melolabial fold to the nose, nasolabial flaps are a very attractive and reliable reconstructive choice for nasal tip defects. The relative advantages over other reconstructive options and the limitations of an interpolated superiorly based nasolabial flap are discussed. The elaborated use of a nasolabial peninsular pedicled skin flap may deliver a very satisfactory outcome from a functional and cosmetic point of view.